Canon released details on their new Cine-Servo Cinema Zoom designed for use with shoulder mounted cameras configurations. The Cine-Servo lens at 17-120mm T2.95 and $31,350 is wider, longer, and less expensive than the competition. We expect that the native EF mount version of the Cine-Servo lens will be very popular with Canon C300 EF owners and operators who have not had a native EF Mount Servo lens available for use with their cameras. The Cine-Servo PL and EF mounts can be swapped by Canon Cinema EOS Service Centers for an additional fee. One upgraded, the extra mount is returned with the lens. 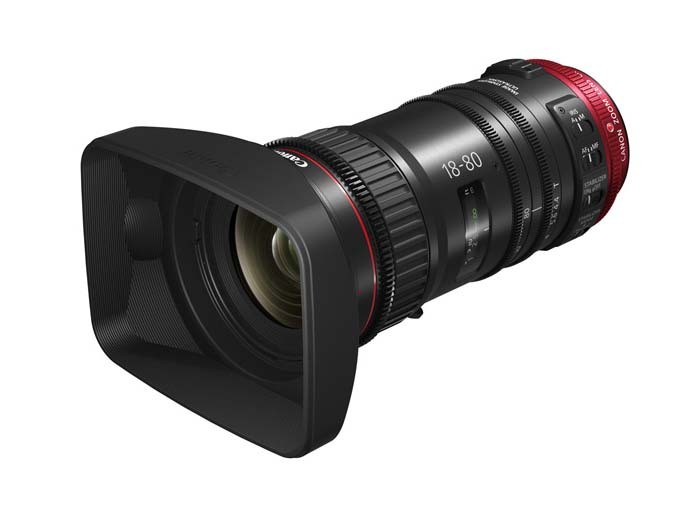 The Canon CINE-SERVO 17-120mm T2.95 zoom lens (CN7x17 KAS S/E1 in EF mount and CN7x17 KAS S/P1 in PL mount) is expected to be available in August 2014 for a suggested list price of $33,000. For more information, please visit the Canon U.S.A. website atwww.pro.usa.canon.com/cine-servo.